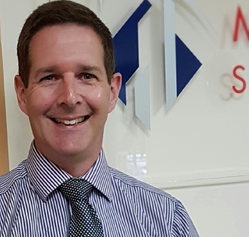 Chris came relatively late to insurance, having completed a Masters Degree in Music and then spending a number of years working in retail management before moving to insurance in 2008. Starting his insurance career at the NFU Mutual gave Chris a great start, and he soon became an agent for the NFU Mutual, running his own office. He subsequently moved to RK Harrison, where he was a Senior Commercial Broker. He has a wide knowledge of both the rural and commercial arenas. Chris devotes his spare time to singing, both as a bass soloist and also as a member of a London chamber choir specialising in Renaissance music. He also is a keen runner and, in 2016, was the founder member of a new local running club, now supporting over 400 runners.